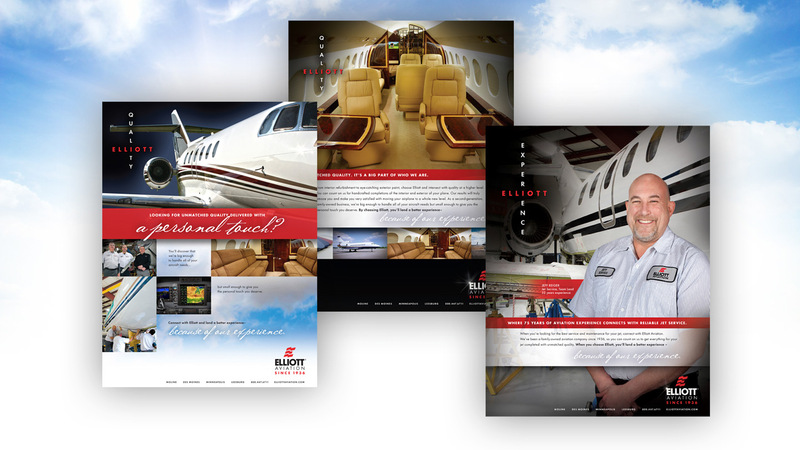 When it came time to design print advertisements for Elliott Aviation, the goal was to create an engaging campaign that represents the Elliott brand across all its vertical industries. The “Crossroads” campaign did just that. Not only does it sum up succinctly what Elliott does, it also makes it easy to adjust messaging for numerous industries.